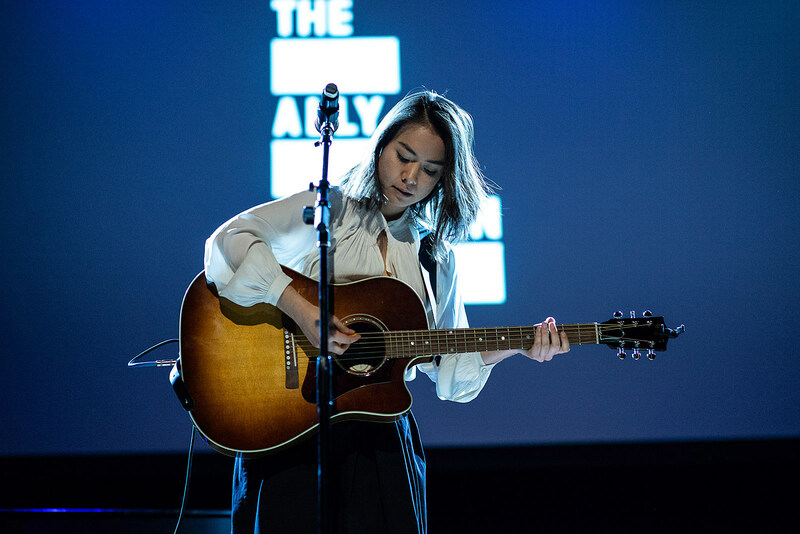 Mitski has once again added more tour dates in support of last year’s great Be The Cowboy. The newly-added dates including a taping of her Austin City Limits debut on June 4. As mentioned, her next NYC show is Governors Ball. All dates and tickets here. Jaakko Eino Kalevi, the Finnish artist/producer (and sometimes tram-driver) will be opening part of Kero Kero Bonito’s spring tour, including shows in Texas, Arizona, California and the Pacific Northwest. Before heading home, he’ll stop in NYC to play Rough Trade on April 27. All dates are here. Paisley Underground vets The Dream Syndicate have a new album out in May and have a handful of headlining shows coming up, including two nights at NYC’s Mercury Lounge. They’ve also been added to a few of Mott the Hoople 74’s shows in April in Detroit, Cleveland, Glenside, PA and Boston. All dates are here. In addition to playing festivals like Atlantic City Beer & Music Fest, Bled Fest, and Back To The Beach, The Wonder Years are going on the Sad Summer Festival tour this year. The rest of the main acts are a little too on the polished pop punk side for us (State Champs, Mayday Parade, The Maine), but any chance to see The Wonder Years’ great live show is worth taking and you can catch this tour in NYC on July 16 at The Rooftop at Pier 17. All TWY dates and tickets here. Wonder Years singer Dan Campbell’s other band Aaron West & the Roaring Twenties also just announced a tour yesterday. Last year, J. Cole was gearing up to present his inaugural Dreamville Festival, but it was cancelled due to Hurricane Florence and rescheduled for April 6, 2019 at Dorothea Dix Park in Raleigh, NC. Today he has confirmed the lineup, which is mostly similar to what it was supposed to be last year with Cole headlining plus SZA, Big Sean, Nelly, Teyana Taylor, J.I.D, Rapsody, Saba, and more. 21 Savage and 6LACK are now also playing (and Young Thug, YBN Cordae, and Rich the Kid are no longer playing). Finn Andrews of The Veils just released his debut solo album, One Piece at a Time, which is heavy on piano-centric ballads. You can stream the album below. Finn will be playing a few North American shows in June, including stops in NYC (6/11 @ Rockwood Music Hall), Montreal, Toronto, Los Angeles, San Francisco and Seattle. Head here for all dates. Reunited indie vets Duster will release their retrospective box set, Capsule Losing Contact, this week via The Numero Group and they’ve also got tour dates this summer, including opening for Snail Mail at Brooklyn Steel, as well as headline shows in DC, Philly, and Cambridge, MA. That Brooklyn Steel show with Duster is one of a few new July dates for Lindsey Jordan and her biggest NYC show yet. Comedy legends Dave Chappelle and Jon Stewart are teaming up for a “one-night only” show together at the iconic Red Rocks Amphitheatre on August 9. It’s the only upcoming date we’re aware of for Jon Stewart but Chappelle has a few other upcoming appearances, which are listed here. Tickets for the very special Red Rocks show go on sale Friday (3/22) at noon. Death Cab For Cutie have added more tour dates, including a NJ show with Jenny Lewis (who also opens their previously-mentioned Forest Hills show) and more. The National and Courtney Barnett have expanded their tour together, adding a second Prospect Park show. Tickets for that show go on BrooklynVegan presale this Wednesday. The Tallest Man On Earth has added more dates to his tour supporting the upcoming I Love You. It’s A Fever Dream., including a night at NYC’s historic Radio City Music Hall. Bombay Bicycle Club have announced their first NYC show in five years. Their only other currently-announced date is a UK fest but they’re promising many more dates TBA. Rosalia has announced that she’ll do her first proper North American headlining tour around the time she plays Coachella and Pharrell’s Something In The Water festival. American Football’s excellent new LP3 comes out this week (read our review), and the band have expanded their tour, adding a second Brooklyn show for 4/25 at Warsaw. Dan Boeckner’s band Operators are putting the finishing touches on their new album and just announced a summer tour. Grunge greats L7 are getting ready to release their first new album in 20 years and have a pretty full tour schedule too, including a new Brooklyn show with Le Butcherettes, and dates with Rancid’s travelling Bash Music & Craft Beer Festival.